Traffic has been busy at the Moebius House with many Movie and television shoots taking place. This is the latest by Hyundai. Here is the first look at the new designs for Canterbury Town Centre. 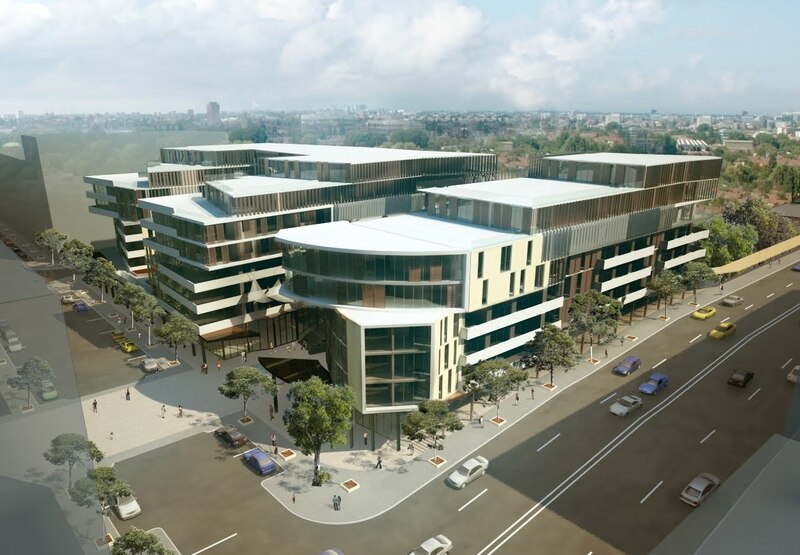 This project in Sydney will include a mixed use residential and retail environment. The site is located at Canterbury Train Station on Canterbury Road. It enjoys views of the nearby iver. The site wiull contain a terraced 'Market Lane'. 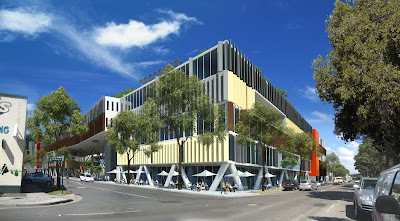 This space with a unique solar canopy was modelled on the famed Spanish Steps in Rome and will be a destination for the area containing shops, cafes and restaurants. This space will become the focal point for Canterbury and enliven and reinvigorate the area. 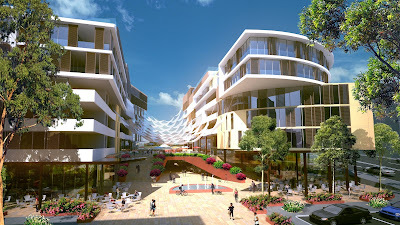 Tony Owen Partners have recently lodged the DA for Design City in Sydney's Alexandria. This is a unique concept live work environment. 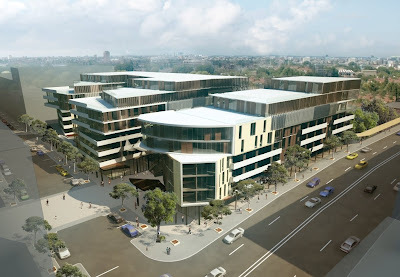 It included 175 units and 125 strata commercial tenancies, in 6 buildings in McEvoy Street. 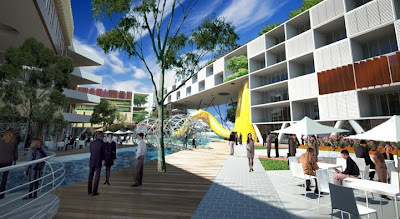 The project creates a completely environmentally sustainable precinct of the design community. At the centre of the complex is Artisan Square. This plaza, bisected by a canal, contains a mix of gardens, plazas, cafes and activities including 'Tschumi Cafe', 'Tubular Bells Bridge', 'Peanut Bridge', 'Aalto Vase Place'. The office buildings and ground plane contain ventillation viscicles which allow light and ventillation between levels and into the basement parking areas.